Israeli food tech startup SuperMeat raised $3 million in seed funding, the company announced Tuesday. The investment round was led by U.S.-based venture capital fund New Crop Capital and venture capital firm Stray Dog Capital, a firm investing in animal-friendly ventures. European poultry producer PHW-Gruppe also participated in the round, and has entered a strategic partnership with SuperMeat, the company said. SuperMeat aims to bring its lab-grown poultry meat to market within three years at a price point similar to regular chicken products, the company said in a statement. Founded in 2015 and based in Tel Aviv, SuperMeat raised more than $240,000 in pre-orders via an Indiegogo crowdfunding campaign in 2016. 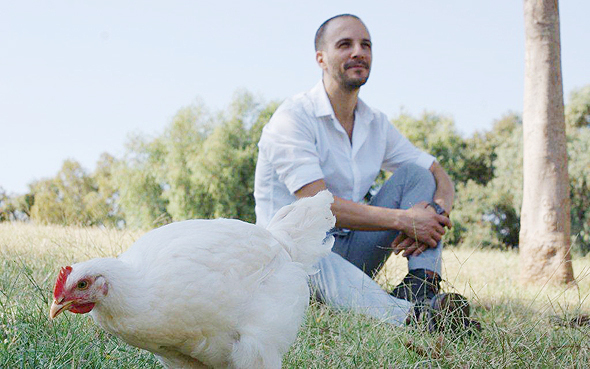 The company produces edible lab-grown meat by culturing cells that have been extracted from a chicken. The process eliminates the need to produce and raise animals for slaughter. According to the company, cultured meat products reduce exposure to food-borne illnesses and reduce pollution and water consumption. SuperMeat products are produced using 99% less land and 98% less water than conventional meat products, and emit 96% fewer greenhouse gases, the company said, citing research by Oxford and Amsterdam Universities. Global demand for meat is projected to double by 2050, according to the U.N. Food and Agriculture Organization website. The world’s first cultured beef hamburger was created in 2013 by Mosa Meat, a Maastricht, the Netherlands-based company backed by Google co-founder Sergey Brin. The burger was assembled from small strips of muscle tissue individually grown at a Maastricht University lab. Other companies have since attempted to create meat, or believable meat substitutes, in lab conditions. Companies like El Segundo, California-based Beyond Meat and Redwood City, California-based Impossible Foods are developing plant protein-based meat products that taste and “bleed” like real meat. New York-based early-stage biotechnology startup Finless Foods Inc. is aiming to develop and mass manufacture lab-cultured alternatives to conventionally-caught and commercially-farmed seafood. In December, the company told FoodNavigator-USA it aims to market its lab-cultured bluefin tuna at a similar price to that of conventionally-caught bluefin tuna by the end of 2019. In August, San Francisco-based clean meat company Memphis Meats announced a $17 million Series A fundraising round led by Draper Fisher Jurvetson (DFJ), a venture capital firm that previously backed Tesla, SpaceX, and Skype. Bill Gates and Richard Branson also participated in the round. The company, which produces beef, chicken and duck products by culturing animal cells, released the world’s first cultured meatball in February 2016 and the world’s first cultured poultry in March 2017.